Three popsicles / ice lollies poster – ‘Juicy Fruity Lollies’. 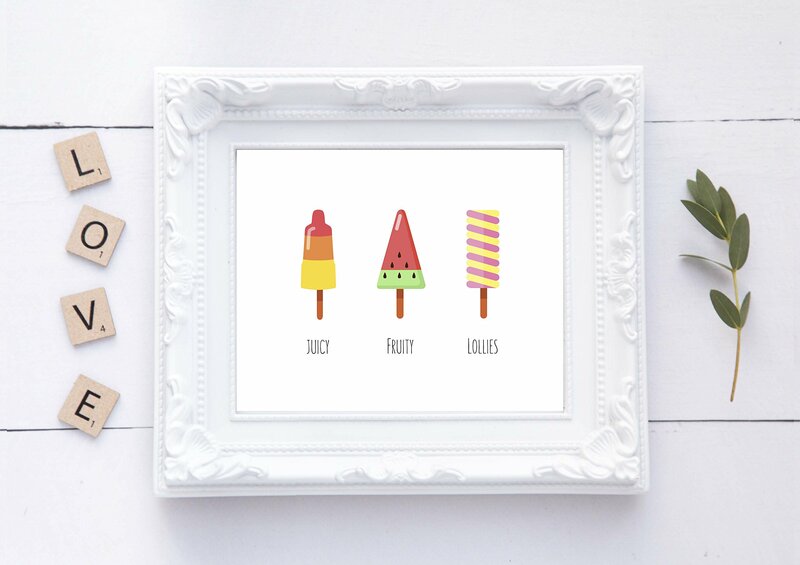 This is a really cute minimalist colourful poster of 3 ice lollies – great for a girls bedroom print, nursery decor, the kitchen art or even as a piece of office wall art! 2) Click the “Add to Basket” button and that’s it! TURN AROUND TIME 1) I’m pretty quick off my feet and I usually print and package orders within a couple of days and will let you know as soon as it is posted.